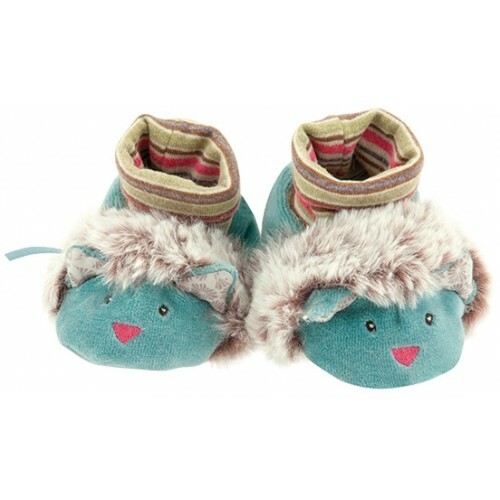 These cozy cat slippers are the purr-fect fit for little ones aged 0 to 6 months. Featuring the same soft fabrics and pleasing colours as the plushes in the collection, your little one will grab for his toes with glee! Made with fur, crushed velvet and jersey material, these slippers come ready to gift in an illustrated gift box.